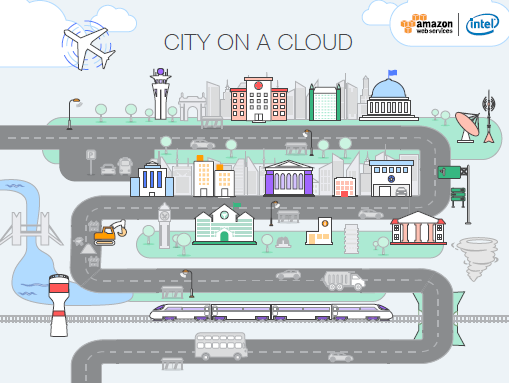 AWS launched the fourth City on a Cloud Innovation Challenge, a global program recognizing how local and regional governments are innovating on behalf of their citizens around the globe. New to the competition this year, we are opening the competition to school districts who are using the cloud to enrich learning, help teachers reach more students, and improve school or district operations. Best Practices: This award category will recognize governments and school districts leveraging the AWS Cloud to implement a program or service on behalf of their citizens or students. Partners in Innovation: This award category will recognize technology partners implementing a program or service on behalf of a government or school district. Dream Big: This award category provides cloud credits to help governments and school districts implement big ideas through technology. Winners will receive up to $50,000 in AWS promotional credits to help achieve their mission with the cloud. Click here to apply today (the nomination takes around five minutes)! The City on a Cloud Innovation Challenge closes on Friday, May 12th. Governments and schools from around the world are investing in innovation and using the AWS Cloud, like the City of Chicago (2015 Dream Big Award Winner), which uses an open-source platform to provide real-time weather, road closures, transit data, residential complaints, and other information in the area so people can plan accordingly. Another winner is the New York Public Library (2016 Best Practices winner), which makes available 677,496 items spanning a wide range of eras, geography, and media, drawings, manuscripts, maps, photographs, rare books, videos, audio, and more. Encompassing the subject strengths of the vast collections of NYPL, these materials represent the applied sciences, fine and decorative arts, history, performing arts, and social sciences. Since launching the City on a Cloud Innovation Challenge in 2014, we received several applications focused on bringing the Internet of Things into cities, many of which are leveraging or plan to leverage the AWS – Intel IoT Platform. This joint platform allows customers to derive insights from their existing data by deploying Intel IoT Gateways along with an ecosystem of compatible sensors and devices. These hardware devices include software built with the AWS IoT Device SDK to connect them to AWS IoT and, ultimately, AWS endpoints. From there, customers can build software to connect devices from their cities and school districts to AWS services and gain value through IoT data analytics. If you have an idea that you want to showcase and expand or make a reality – apply now! This year’s winners will be announced at the AWS Public Sector Summit in Washington, DC June 12-14, 2017. Learn more about past winners by visiting our City on a Cloud Innovation Map. So what would you do with $50,000 in AWS promotional credits? Tell us how for a chance to win and help your city or school become smart, connected, and sustainable with AWS. Get ideas and learn more about the challenge and watch the 2016 video here.